It is an underground armed organisation formed in 2000. It emerged as a result of a reported rift between the Marri brothers, the leaders of the Balochistan Liberation Army (BLA). The group has been proscribed by the Government of Pakistan on March 15, 2013. Mehran Marri founded the UBA after he was accused of stealing money and weapons stash from the Baloch Liberation Army (BLA) funds. He is the son of Nawab Khair Bakhsh Marri and was appointed the chief of the Marri tribe after his father’s death in July 2014. He is the representative of Balochistan at United Nations Human Rights Council (UNHRC) and European Union (EU). Bangulzai is the chief of the banned outfit UBA. He has been using young boys to carry out grenade and bomb attacks in Quetta. The United Baloch Army operates for the liberation of Balochistan. No information is available about the framework of this group. No information is available about the financial resources of this group. The information about the recruitment tools is unavailable. However, the videos uploaded by UBA and the statements given by the leaders at different forums can influence and attract freedom fighters to join the organisation. The UBA is a splinter group of the Balochistan Liberation Army (BLA). The UBA operates in the Balochistan province. The UBA has also claimed responsibility of a blast at a fruit market in Islamabad in April 2014; however the Interior Ministry has rejected their claims. Videos uploaded on Dailymotion website. The UBA is an underground militant organisation, thus it does not have its social media accounts. 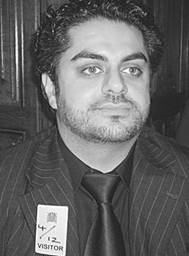 However, Mehran Marri, the leader of the organisation connects with his followers and disseminates his message and influence through his Twitter account. 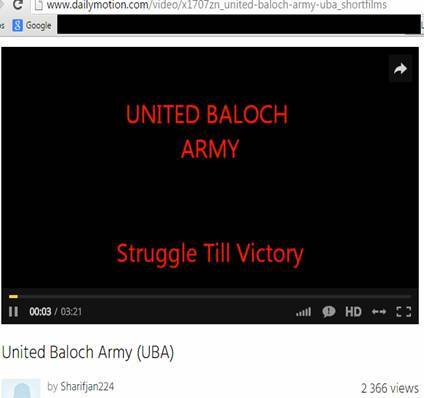 The UBA was known as the Balochistan United Army (BUA) before it was proscribed on August 4, 2012. The United Baloch Army is one of the multiple groups that are fighting for the liberation of Balochistan. It is led by the Mehran Marri, the chief of Marri tribe and son of late Nawab Khair Bakhsh Marri. It has been involved on bomb and grenade attacks in Quetta. It has been proscribed by the government of Pakistan on March 15, 2013. The United Baloch Army emerged in 2000 under the leadership of Mehran Marri after reported fallout between Mehran Marri and his brother Hyrbyair, the leader of the Baloch Liberation Army (BLA). Mehran Marri and his followers were accused of theft of millions of rupees and weapons stash from BLA. It was known as the Balochistan United Army and was proscribed by the government of Pakistan on August 4, 2012. 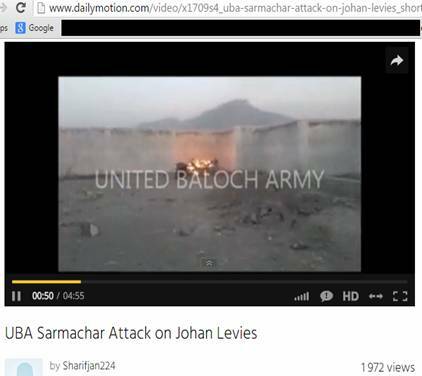 It emerged by the name of United Baloch Army as an underground militant group. 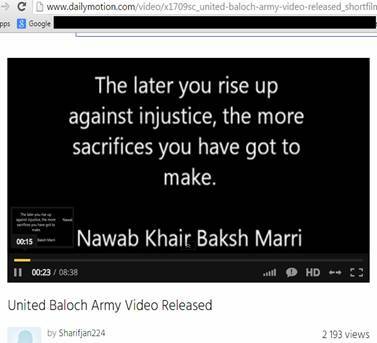 The United Baloch Army seeks liberation of Balochistan from Pakistan. The group targets freedom fighters and young boys to carry out their subversive activities. 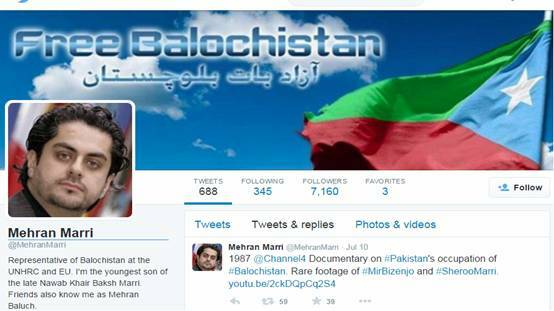 The United Baloch Army leader Mehran Marri is active on Twitter. Balochistan Liberation Army is a militant organization carrying out violent activities in the Balochistan province against the Pakistan army for independence from Pakistan. It is led by Nawabzada Hyrbyair Marri who is residing in London for a long time. The organization carried out an attack on former President General Pervez Musharraf in 2005 while he was visiting a paramilitary camp in Kohlu. Khair Bakhsh Marri was a Baloch nationalist from Balochistan and was famous among fellow Baloch insurgents. 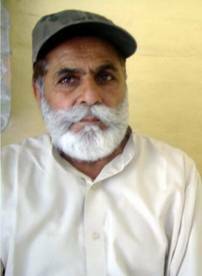 He participated in 1979 Baloch insurgency and remained in exile in Afghanistan. He returned after the collapse of the left wing regime in Kabul. He was also a leader of BLA. They believe they are being repressed and discriminated against and therefore the demand a separate regime for themselves. The World Post. Malik Siraj Akbar, “The End of Pakistan’s Baloch Insurgency?”, March 11, 2014. Retrieved from: http://www.huffingtonpost.com/malik-siraj-akbar/the-end-of-pakistans-balo_b_6090920.html Date of Access: July 23, 2015. TRAC (Terrorism Research & Analysis Consortium. Balochistan United Army (BLA). Retrieved from: http://www.trackingterrorism.org/group/balochistan-united-army-bla Date of access: July 22, 2015. DAWN. Naziha Syed Ali, “Situationer: Who’s who of Baloch insurgency?” June 1, 2015. Retrieved from: http://www.dawn.com/news/1185401 Date of access; July 22, 2015. Retrieved from: http://nacta.gov.pk/Download_s/__bannedOrgs.pdf date of access: July 22, 2015. DAWN. Saleem Shahid, “Mehran appointed chief of Marri tribe”, July 3, 2014. Retrieved from: http://www.dawn.com/news/1116704 Date of access: July 23, 2015. Retrieved from: https://mobile.twitter.com/mehranmarri Date of access: July 24, 2015. Retrieved from: http://balochhouse.blogspot.com/2010/03/waja-mir-abdul-nabi-bangulzais.html Date of access: July 24, 2015. The Express Tribune. “Raid on tip-off: United Baloch Army men arrested, says police.” January 5, 2014. Retrieved from: http://tribune.com.pk/story/655081/raid-on-tip-off-united-baloch-army-men-arrested-say-police/ Date of Access: July 27, 2015. Newsweek. Amir Qureshi, “Interior Ministry Rejects UBA Attack Claims.” April 10, 2014. Retrieved from: http://newsweekpakistan.com/interior-ministry-rejects-uba-attack-claims/ Date of access; July 24, 2015. Nawabzada Hyrbyair Marri. Pakistan Herald. Retrieved from http://www.pakistanherald.com/profile/nawabzada-hyrbyair-marri-1134 Date of Access: July 27, 2015. The NEWS. “Baloch Nationalist Leader Khair Bakhsh Marri Passes Away.” June 11, 2014. Retrieved from http://www.thenews.com.pk/Todays-News-13-30875-Baloch-nationalist-leader-Khair-Bakhsh-Marri-passes-away Date of access: July 7, 2015.